We are a pharmaceutical company operating in the market since 1949. Our goal is to care for the health of patients. It is with them in mind that we develop the highest quality medicines and health-promoting preparations of plant origin with proven effectiveness and confirmed safety of use. We provide our customers with plant products used both in prevention and treatment. They are produced using the highest quality active ingredients with perfect organoleptic properties. Our medicines, dietary supplements, and medical products are widely available in pharmacies all over the country. We offer products that have been trusted by consumers and pharmacists for many years. Many of the products enjoy top positions in their therapeutic categories. We specialise not only in production, but also in development and marketing of medicinal products of plant origin. We produce the plant medicines in our own production facilities, which belong to The Nature Network® Group — a family business that have been operating for three generations. Our production facility and head office is located in Klęka (Nowe Miasto nad Wartą) — 60 km south-east from Poznań. The company employs around 280 people. The Nature Network® stands for effective, safe, and innovative products and services: from sourcing of plant materials and their refinement into premium quality semi-finished products, to laboratory, consultancy, and distribution services. In harmony with nature, we thus offer complete preparation of a plant medicine: from formulation and documentation, through sourcing of a raw material, to creation of a finished medicine through the production process; and thanks to our own production and distribution companies, we ensure the availability of our products for customers. Herbal crops are grown for the first time by the State-owned Farm in Klęka. Pharmaceutical production starts — “Wytwórnia nr 11” (Factory No. 11) of Zjednoczone Zakłady Farmaceutyczne (United Pharmaceutical Plant) in Warsaw is founded in Klęka. Pectin-based nutritional preparations production is initiated: “Pomonal” from apples and “Karoten” from carrot. The factory is transformed into Przemysłowo-Rolne Zakłady Farmaceutyczne (Industrial and Agricultural Pharmaceutical Plant). Aloe arborescens (Biostymina) plantation is founded. Investments aimed at the development of a herb company are implemented — industrial development in Klęka (e.g. the first production building for extraction). “Herbapol” name and logo is adopted (along with other companies subordinate to Zjednoczenie Przemysłu Zielarskiego “Herbapol” — Herbapol Herb Industry Association). Production of thyme pharmacopoeial extract, juices, and liqueurs is launched. The beginning of the development of modern extraction in Klęka — silymarin concentrate production for Poznańskie Zakłady Zielarskie “Herbapol” (Herbapol Poznan Herb Plant) (using own processing solutions) is launched. Programme of development of own medicinal products (the 1980s — dry extracts). The production of plant medicines exceeds the production of semi-finished products: Herbapol in Klęka becomes the largest manufacturer of liquid plant medicines in Poland. The company is transformed into a joint stock company (single-person company entirely owned by the commune of Nowe Miasto nad Wartą); the name “Przemysłowo-Rolne Zakłady Zielarskie Herbapol w Klęce” (Herbapol Industrial and Agricultural Herb Processing Plant in Klęka) is changed into “Zakłady Zielarskie Herbapol in Klęka Spółka Akcyjna” (Herbapol Herb Processing Plant in Klęka Joint Stock Company). A strategic block of shares is bought by Martin Bauer GmbH Co KG. The company infrastructure is redeveloped (gas boiler house, water treatment plant, water and heat networks). Production and laboratory departments are modernised. The sector of distribution of plant-origin medicines is launched. PHYTOPHARMAKON 2000 International Scientific Symposium is organised in Poznań to celebrate the 50th anniversary of the company. The name “Zakłady Zielarskie Herbapol Klęka Spółka Akcyjna” (Herbapol Herb Processing Plant in Klęka Joint Stock Company) is changed into “Phytopharm Klęka S.A”. All-embracing modernisation of the Herb Extraction Department aimed at creating a modern production facility for pharmaceutical active substances obtained from plant materials. Pharmaceutical factory and high-bay warehouse are launched; a comprehensive offer of extracts, finished medicines, and contract production is presented. 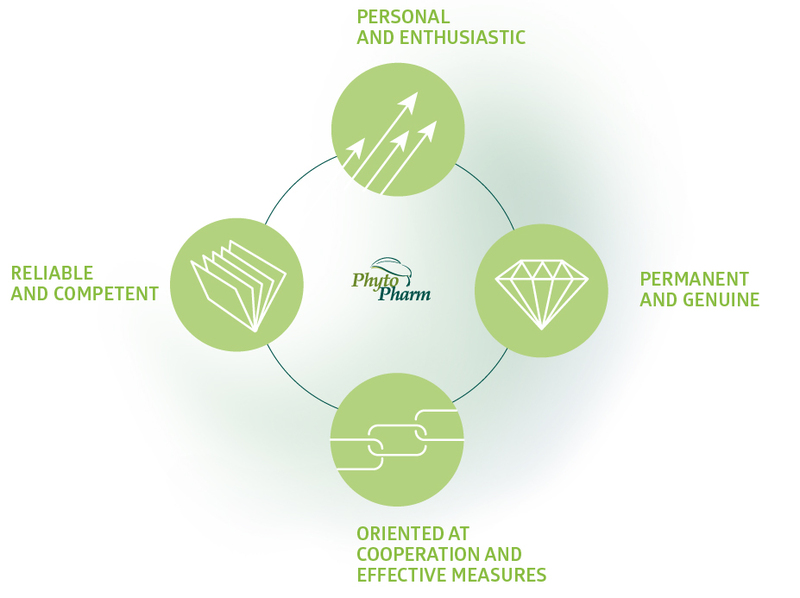 At present, Phytopharm Klęka S.A. consists of B2C Department oriented at sales of pharmacy products and B2B Sector responsible for comprehensive business customer service, as part of a single organisation. In harmony with nature, we thus offer complete preparation of a plant medicine: from formulation and documentation, through sourcing of a raw material, to creation of a finished medicine through the production process.